It feels like eons since my last trip to Morocco and Spain, and I’m seriously itching to get traveling again. But until we decide on our next destination, I’ll have to settle for a spa-cation. 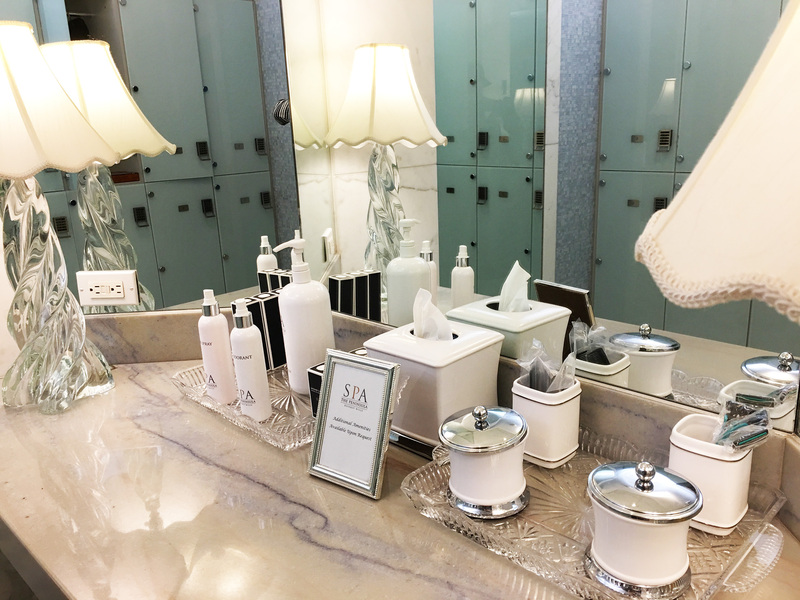 So when Biologique Recherche recently invited me to try out one of their facials at the Peninsula Hotel in Beverly Hills, how could I turn them down? Especially since I’ve been curious about the French brand with the cult following that you can’t seem to get anywhere except at exclusive spas. I’ve been hearing the name bandied about here and there over the years, but it never really registered with me. It always seemed like just another one of those obscure French beauty brands, kind of like Avène or Lierac or Yves-Rocher. But talking to Dr. Phillipe Allouche (yes, the Dr. Allouche, whose biologist and physiotherapist parents founded Biologique about 40 years ago), as well as Laura Gerchik, general manager at the company, at the press event at the Peninsula Hotel was enough to get me super excited about the line. 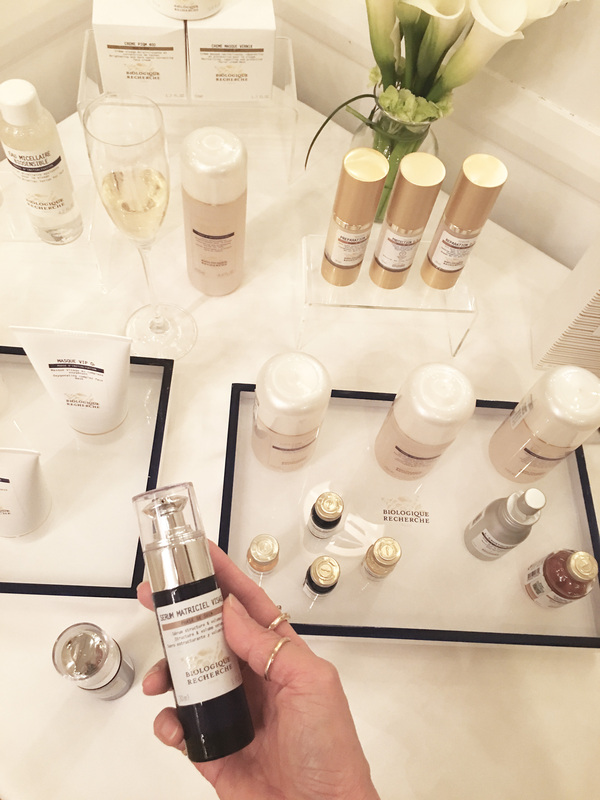 The most fascinating thing about Biologique is how much of its beauty philosophy mirrors Korean beauty, including layering of skin care products, their devotion to a healthy skin barrier, their belief that the condition of the skin changes day by day, and even their early use of placenta in skin care. And the reason why they will only sell their products at spas and not mass retailers? Probably mainly because the products are cold-formulated in small batches at the Biologique Recherche laboratories in Paris. But it’s also because they believe that skin care is a collaboration between the consumer and aesthetician. You learn from the aesthetician, who was trained by Biologique. They even offer a customized serum based on your unique skin care needs that takes about a month to formulate. 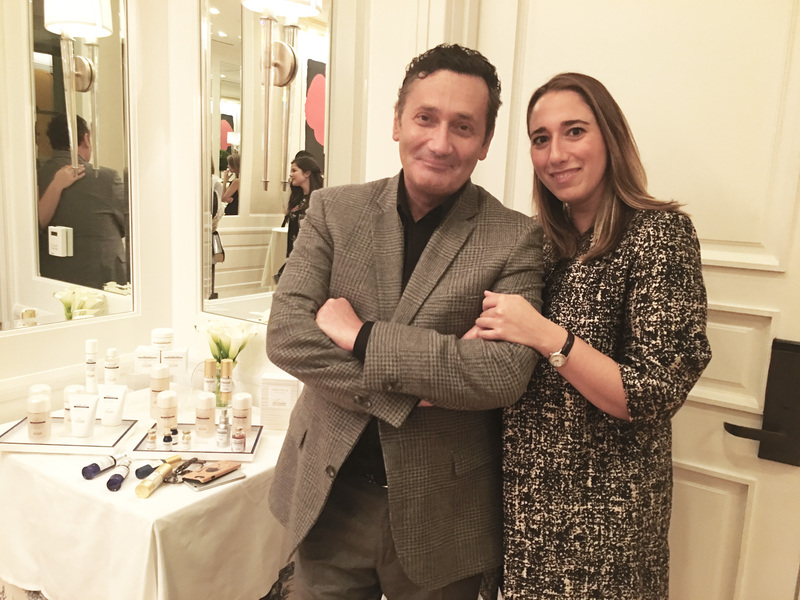 Biologique Recherche CEO and co-founder Dr. Phillipe Allouche and general manager Laura Gerchik. 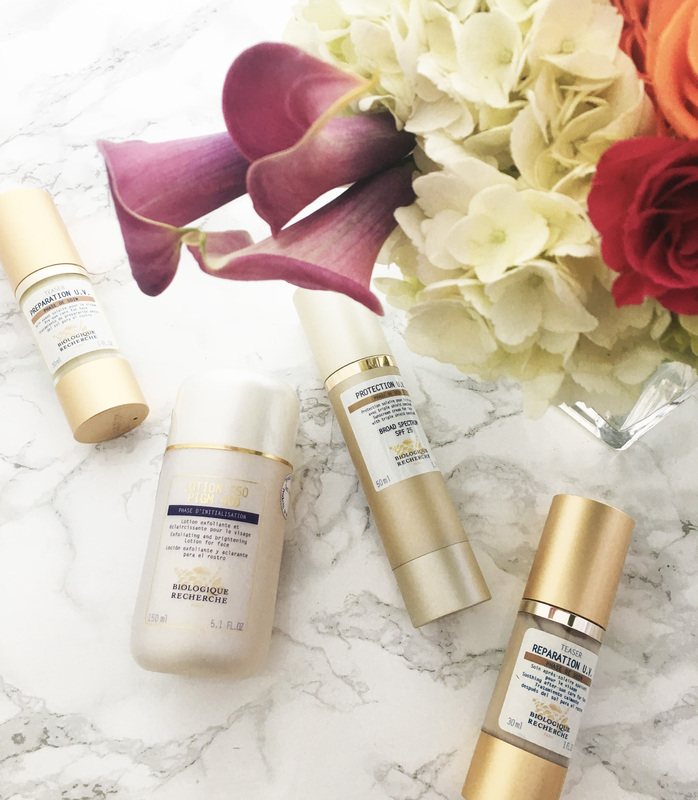 And of course, no skin care line would be complete without sun protection, and Biologique’s sunscreen has been 38 years in the making, according to Gerchik. This is a mineral sunscreen that not only protects from UVA and UVB but also infrared light from computer screens and other light sources. (Scientists are slowly finding that heat from light sources may contribute to hyperpigmentation, one of my biggest skin care concerns.) There are no nanoparticles in this sunscreen and yet they somehow manage to formulate them so that they leave no white cast on the face. The texture is fluid and it’s quite lightweight, drying down to an almost dry finish. The only thing is that is only SPF 25 (most derms recommend an SPF 30 or above for daily use), but since we’re supposed to reapply every two hours anyway (and I use my sunscreen mainly for UVA protection), it’s not a deal breaker. But the stars of the line are the seven iterations of their P50 Lotion, which exfoliates with lactic acid, depending on your skin type. The original, P50 1970, of which there are three versions, contains phenol, an antiseptic and anesthetic ingredient that is banned in the EU, so it sort of freaked me out, especially since my face is feeling especially sensitive this winter. (I’ve now added sensitivity to my myriad skin issues — sigh.) So I skipped over that and checked out the newer versions: P50 (original strength), P50V (mature, sagging skin), and P50W (sensitive skin). But lo and behold, I didn’t even have to worry about figuring out the difference between those three versions because Gerchik told me there was a brand new hyperpigmentation version called PIGM 400. Helllooo! No brainer! Getting ready for my Biologique Recherche facial at the Peninsula Hotel Spa. Yes, there’s alcohol denat. in the ingredient list, something I’m not crazy about. But it’s fairly low down on the ingredient list, so I’ll give it a go, as soon as my skin calms down from this weird bit of sensitivity I’ve developed this winter. In any event, I did get a chance to try out the PIGM 400 at my facial at the Peninsula. As soon as the aesthetician saw my skin, she said, “Your pH is off and the surface of your skin is dehydrated, though you have a lot of oil underneath.” Which was crazy because I was wearing foundation when she said that. After removing my makeup with a gel-like makeup remover and a “welcome massage,” the aesthetician gently patted on a diluted P50 Lotion to my face. I started to feel a little tingly and warm, but it wasn’t too bad. (She said my skin could handle it.) She then applied a lifting serum all over my face using little scooping or “lifting” motions with her fingers all along jawline and on my cheeks, almost like she was “scooping” serum into my skin. Next came a brightening serum on my cheeks, and she covered my face with her hands, which made the heat on my face feel a little more intense. She then applied a very thin layer of mask all over, and that was when I understood what others have been saying about strong scent of the brand. Since they don’t use artificial fragrances, whatever the active ingredients smell like is what you get. The mask smelled like nuts gone bad with a bit of organic material thrown in (what I would imagine raw algae to smell like). It wasn’t horrible, just … unique. She seemed to put a different mask on my jawline and on my cheeks, and a bigger blob of mask on my left nasolabial line. (Good catch — that’s the side with the deeper line.) After about five minutes, she gently dabbed at the mask here and there, which made me feel like she couldn’t have possibly gotten it all off. She finished with some eye cream and moisturizer and said that the rosiness on my face would go down after 20 minutes. Indeed, my skin looked rosy but it wasn’t uncomfortable but definitely warm. All in all, the facial was not comfortable and relaxing, but it wasn’t terribly uncomfortable either. Like the aesthetician said, Biologique is results-driven, so it’s all about seeing an immediate change. My face felt quite warm for almost an hour afterwards, but it soon returned to normal, and my skin did look tightened and firmed afterwards. Biologique Recherche is available in over 77 countries at medical spas, day spas, and high-end hotel spas, including the Peninsula Hotel Spa. Treatments start at $295 for a 60-minute Healthy Glow facial. If you’ve tried Biologique Recherche products, especially the P50 Lotion, I’d love to know what your experience was like.